Space saving air blast tank in tower. 50" Tire capacity changes a wide range of tires and wheels. 24" Turntable accommodates most passengers. Optional mounting helper with following arm easily changes low-profile and run-flat tires. Shown with optional mounting helper. Changing tires is a one-man operation every time. Ridged towers safeguards against wheel damage. Mounting helper with 2 points of depression changes low-profile tires, run flat tires and light & medium trucks up to 19.5" tires simply and safely. 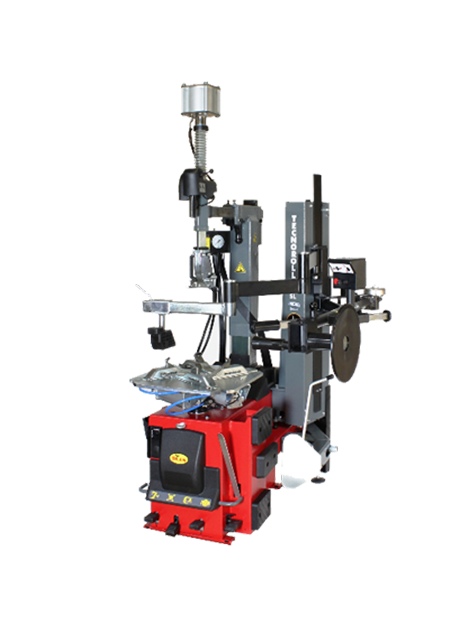 Pneumatic tilt tower increases speed and reduces tech fatigue. 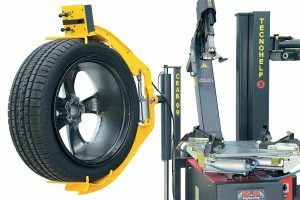 Extended range swing arm tire changer. Space saving air blast tank. 40" Tire capacity changes a wide range of tires and wheels. 28" Turntable accommodates most passenger car, trucks, and light/medium. Mounting helper with following arm easily changes low-profile and run-flat tires simply and safely. Engineered for high-volume tire shops. Manual tilt tower with 28" turntable. Rigid tower safeguards against wheel damage. Engineered for high volume tire shops. Manual tilt tower reduces operator errors. Designed for the "Tuff" tires. Dual adjustable bead breaker arm. Shown with the OPTIONAL helper and OPTIONAL wheel lift. 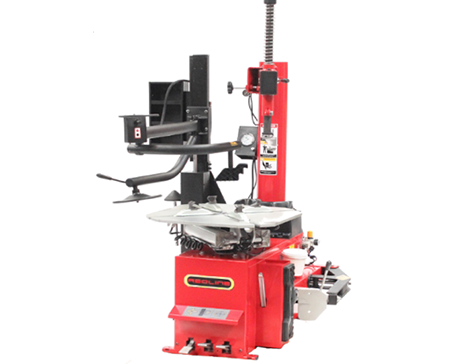 Auto-lever reduces operator fatigue by eliminating tire irons. 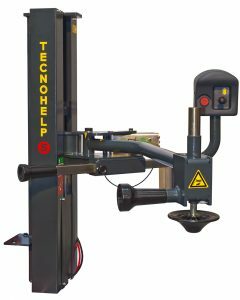 Twin cylinder mounting helper with 3 points of depression changes low- profile and run-flat tires simply and safely. Pneumatic tilt tower with 26" turntable. Rigid tower prevents wheel damage. Pneumatic tilt tower increases speed. 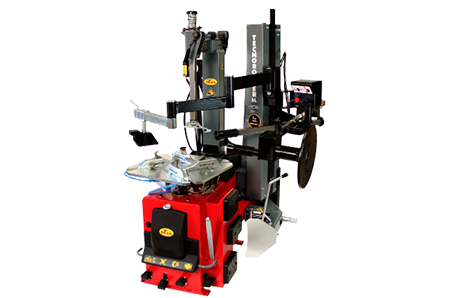 Model 530 high performance tire changer w/ telescopic tower. 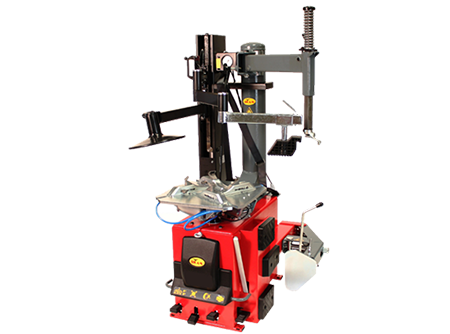 This automatic tilt tower tire changer easily handles the toughest wheels. Features 30" capability without special adapters. Non-opposing jaws provide stronger clamping, eliminating wheel slippage and damage to the rim. 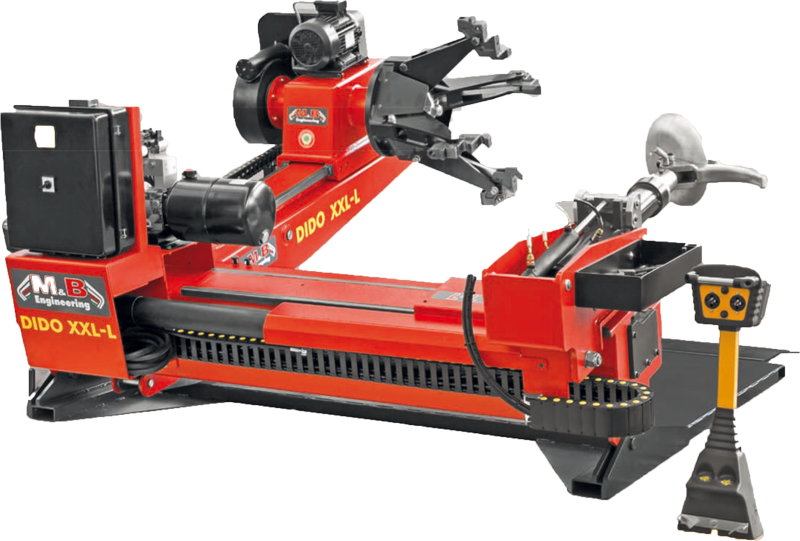 The system comes with a 3-position bead breaker for extended width and depth adjustment. 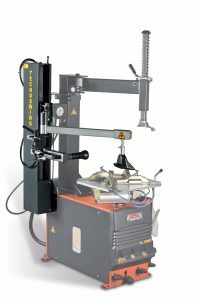 Features a single action pneumatic lock for vertical and horizontal arm adjustment. This system locks all upper components with one twist, and is designed for speed. Bead Breaker Force: 5500 lbs. 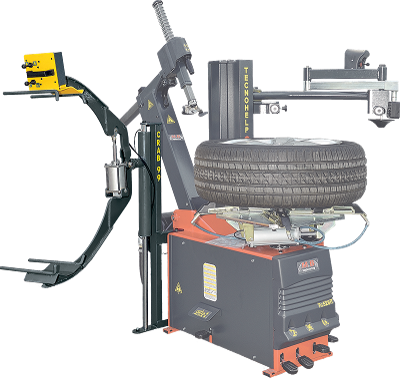 Model DIDO 30 H/D truck and bus tire changer. 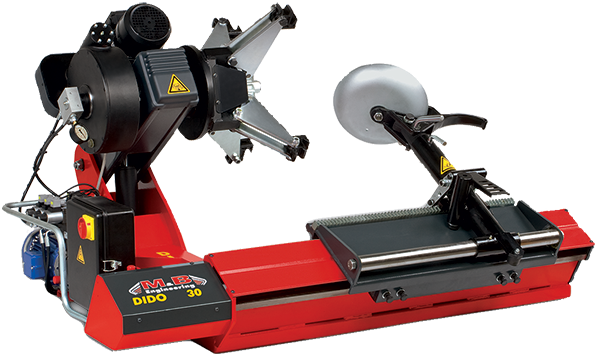 The DIDO 30 features a powerful four-jaw chuck suitable for handling truck, bus and commercial wheels with tube or tubeless tires, including flat base snap-ring rims. Strong and durable spindle arm construction. Safe for steel and alloy rims (with optional alloy wheel protectors). The system features adjustable hydraulic pressure. 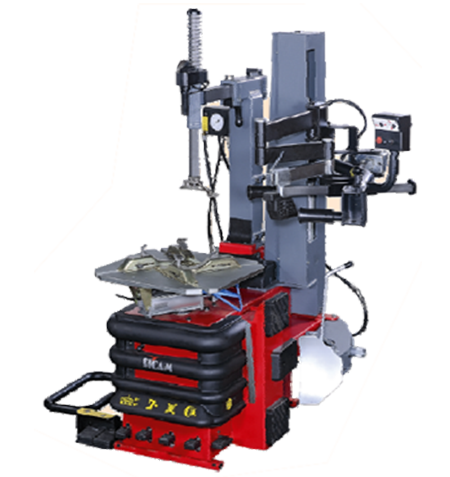 The product comes with a remote control pedestal for safe and easy operation. Super H/D truck tire changer. Powerful four-jaw chuck designed for changing truck, farm, skidder, industrial and earthmoving wheels. Safe for steel and alloy rims with optional alloy wheel protectors. Remote control pedestal for safe and easy operation. DIDO 56A is the same as DIDO 56 except for carriage width. A massive four-jaw chuck and robotic work arm for max power and speed. Fully automatic elevation and rotation of the tool arm. Leverless (L-L) working system thanks to the tool clamping in a retracted position. Possibility to work with free disc (unlocked): in this way it is always in the best working position (less effort and greater working speed). 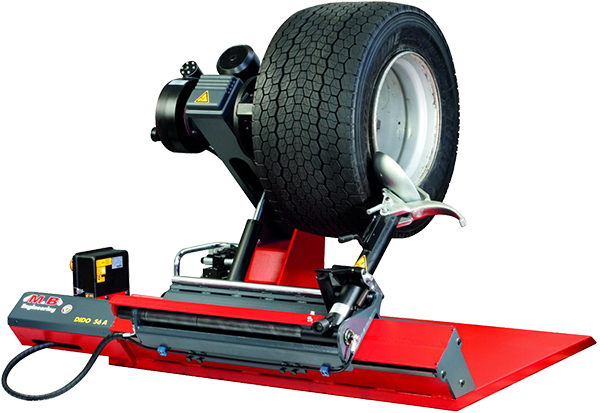 • A powerful pneumatic bead assist that makes changing difficult tires a one-man job. • A three-pivot point follower arm standard as shown in pictures. • The follower arm easily depresses and holds the top bead of the tire in the drop center for easy mounting and dismounting. • Dual cylinders for extra power. 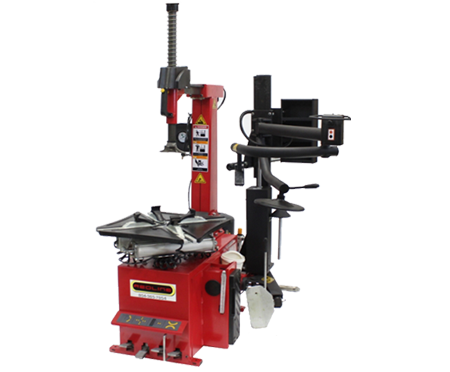 • Dual press rollers, which are held in place by a locking device to prevent movement and damage to wheel. • Includes follower arm and lifting roller. • Optional Crab 99 Wheel Lift fits 328, 428, or TC 428 TRF.